Lobbyists in Saint Paul are urging the Minnesota Legislature to allow 97,000- pound trucks on our roads, an increase of over 8 tons. Not only are safety leaders concerned with the added dangers these trucks pose to motorists, local elected officials and county engineers are also troubled by the negative impact heavier trucks will have on Minnesota’s infrastructure. Because trucks on the road already don’t pay their share of infrastructure damage, heavier trucks would directly translate into tax increases for Minnesotans. Today’s 80,000-pound trucks only pay 80 percent of the damage they cause to roads and bridges, and heavier trucks would pay even less. Supporters of heavier trucks already receive almost $2 billion in subsidies annually for the damage they cause to interstates alone. Let’s not ask Minnesota taxpayers to pay even more. Engineers agree that heavy trucks already cause enormous damage to bridges, and allowing heavier trucks will accelerate this deterioration. Bridges are designed with a safety margin of error to ensure against bridge failure. 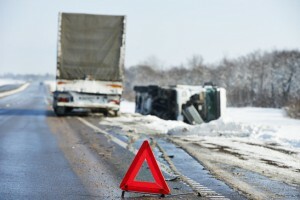 Heavier trucks erode that margin of error and increase the risk of catastrophic failure. 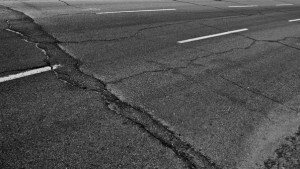 In fact, according to the Federal Highway Administration, Minnesota has 1,513 structurally deficient and functionally obsolete bridges. Adding insult to injury, every independent study published to date has found that bigger trucks mean more trucks. In fact, a 2010 study found that an increase in truck weight limits from today’s 80,000-pound limit to 97,000 pounds would result in a net increase of nearly 8 million more truck trips on the highway—a 56-percent increase. Additional truck weight at high speeds is a recipe for disaster. The laws of physics tell us that increased kinetic energy will lead to increased crash severity. 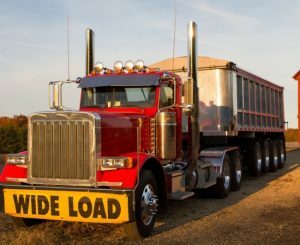 Not only will there be more injuries in a collision, but many of today’s large-truck injuries will undoubtedly become fatalities if we allow heavier trucks on Minnesota highways. Supporters of bigger trucks say these rigs are just as safe, but law enforcement leaders and truck drivers agree that adding weight to a truck makes it more dangerous, especially in a collision. Tell your Minnesota legislator to keep the truck weight limit where it stands and stop the spiraling cost to roads and bridges and to stop the threat to your highway safety!